It was another super night for trainer Graham Holland as he completed a six-timer but his 1-2 in the Easter Cup final was the talk of the place as Clona Blaze just held off the challenge of Clonbrien Prince by a neck in 29.37. 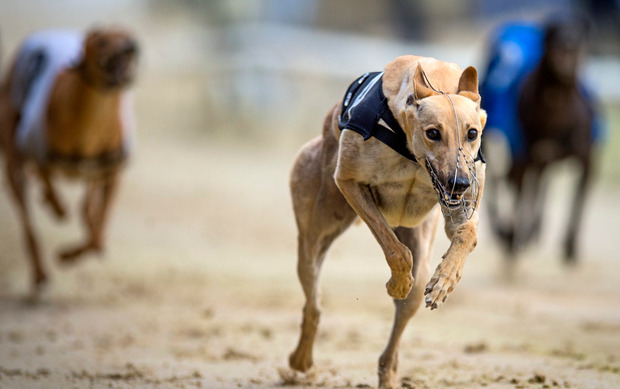 Owned by Kevin O'Brien, Clona Blaze opened a two-and-a-half-length lead by the bend from Droopys Davy and Clonbrien Prince. The latter ran on with gusto but Clona Blaze was ultra-game out front. A delighted O'Brien accepted the trophy and said: "Now he will go for the English Derby and we will bring home that trophy." Trainer Holland plans to have a formidable team for the Nottingham challenge. The other highlight of the night was the final of the Plunkett Devlin Celebration 600 and this resulted in victory for Skywalker Logan as he got up late for a length margin over Our Surprise in 32.30. He will now go for the Gain 600 which commences next weekend at Shelbourne.